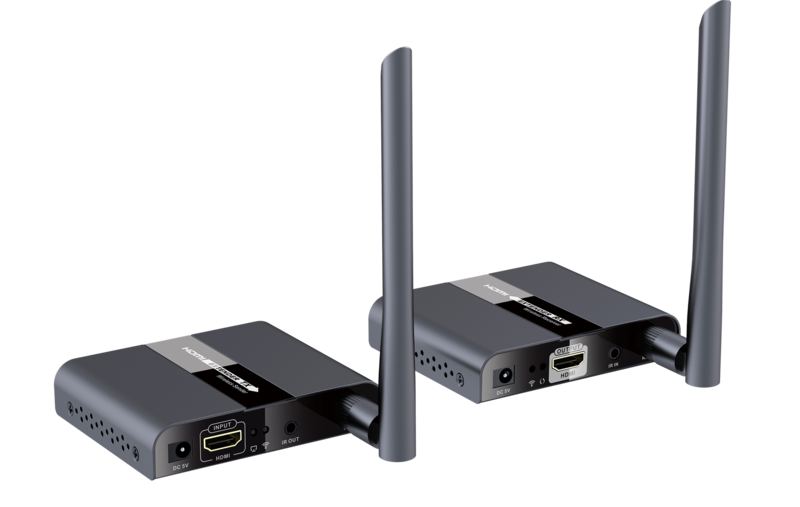 This HDMI wireless extender includes transmitter and receiver units, which allows you to transmit and extend HDMI signal for up to 50m wirelessly. It has a strong anti-interference ability running at 5GHz. 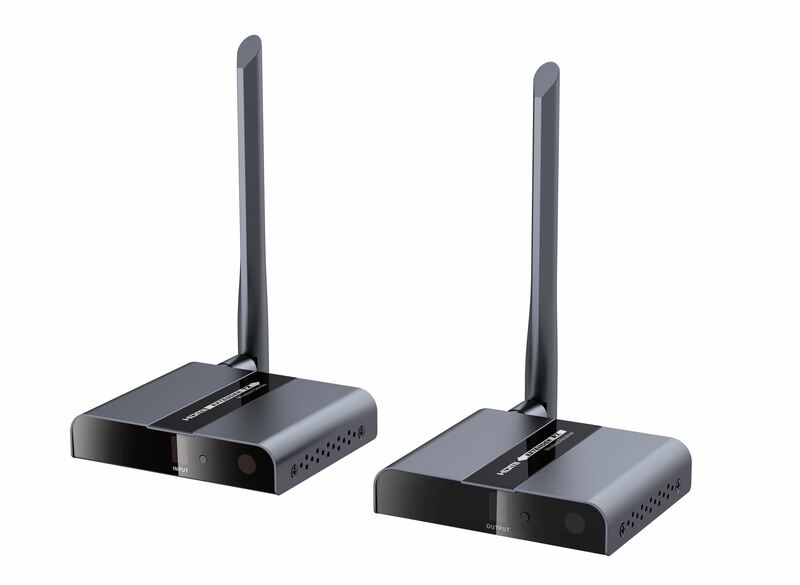 This wireless extender not only supports point to point configuration but also supports one to many (1 to 2) and many to many (2 to 2, 2 to 1) configuration. This extender supports a wide range of IR passback frequency 20-60KHz. This is a very good solution for transmitting one or more HDMI source signals to one or more screens over a long distance without running wires. 3) It is recommended that the distance between each unit should be more than 5m. Strong anti-interference ability running at a 5GHz operational frequency. (2 to 2, 2 to 1) configuration. Supports button control to set channels and IR controller to switch and choose input sources from the receiver side.